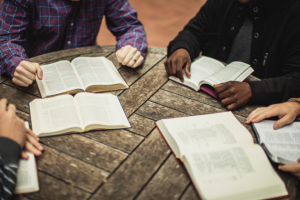 Our English language Bible study is for EAL students wanting to know more about what the Bible says and what Christians believe. We study a short section of the Bible together in simple English, ask questions and talk together about what it teaches us. Our Bible study is free to attend and open to all backgrounds and levels. Tea and coffee provided.